Welcome to SOLAR OWNED carefree living with all the amenities to enjoy right here. 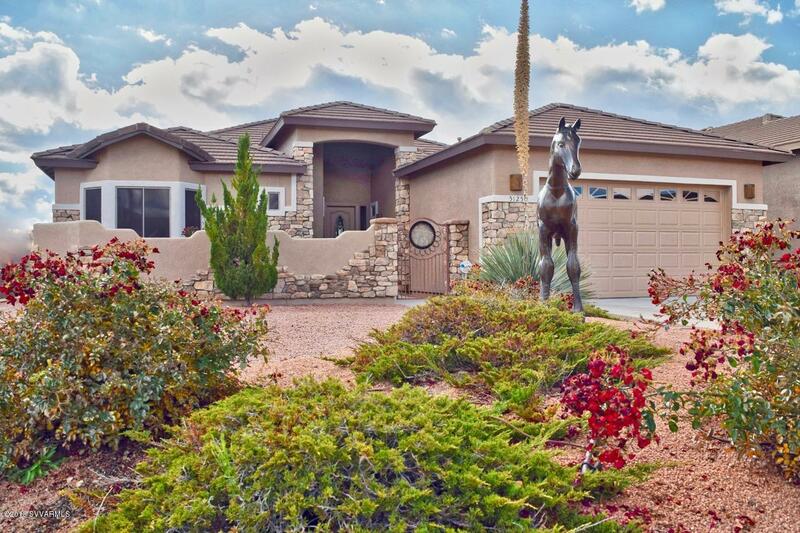 This three bedroom home is located in gated Amante neighborhood and backs on to National Forest. Custom tile flooring and medallion entry set the tone - beautiful outdoor views brought indoors to enjoy throughout. Fireplace, gourmet island kitchen with solid surface counters and oodles of cabinets. Split floor plan - private master suite/fp, master shower and huge walk in closet set apart from two large bedrooms. Walk in closet featured in bedroom 2. Oversized epoxy floored garage/ extra storage bay a bonus! Freshly painted inside & out! Amazing backyard, custom bbq, above ground hot tub, fire pit and PROPULSION POOL surrounded by Trek decking topping off a lifestyle coveted by many! It's listed; luv it!